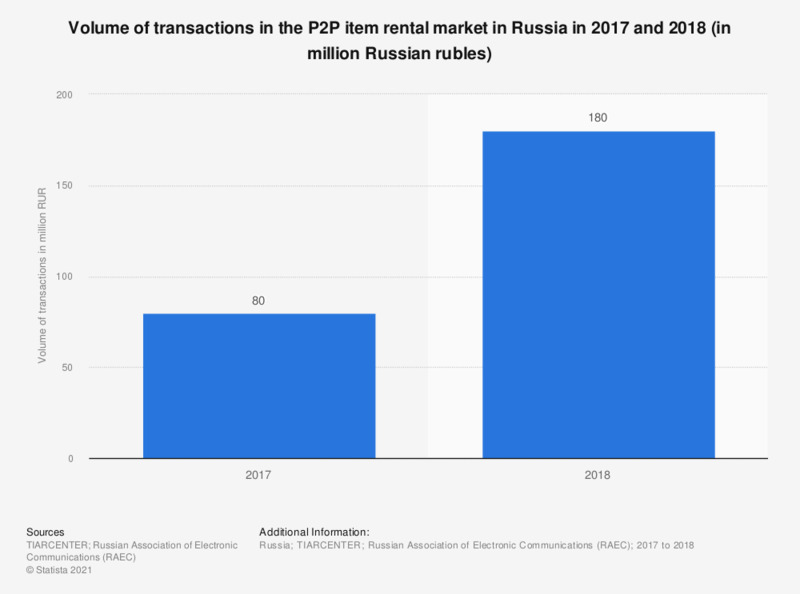 This statistic displays the volume of transactions through P2P item rental platforms in Russia in 2017 and 2018. In 2018, the volume of transactions in this market amounted to 180 million Russian rubles. Item rentals include electronics, apparel and other consumer goods.